Here's a way for you to carry Sudoku puzzles around with you in your Filofax. 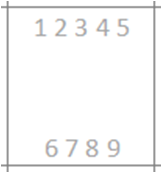 These are the little numbers you can cross out or circle as you're solving the puzzle, allowing you to gradually narrow down the number that belongs in that box on the grid. 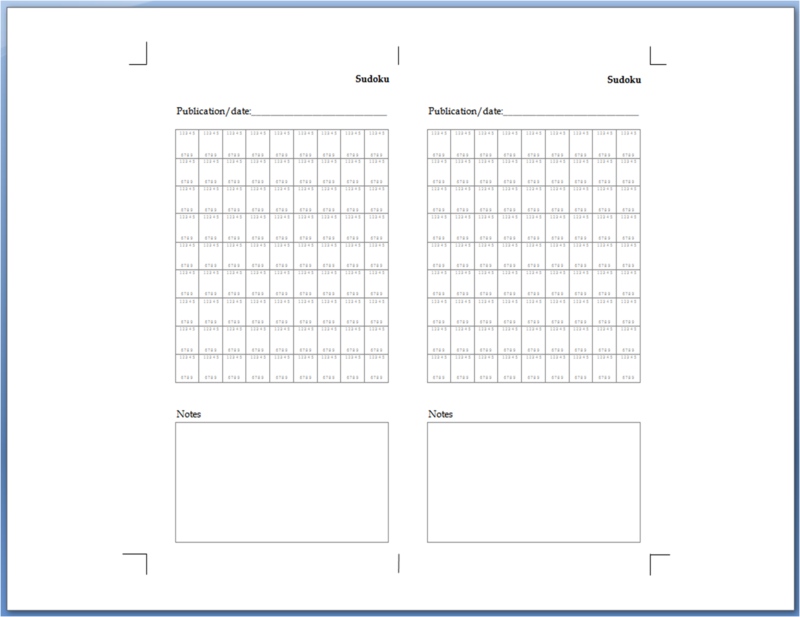 It is a double-sided Personal page. As usual, you can download an editable Word file or a PDF version. 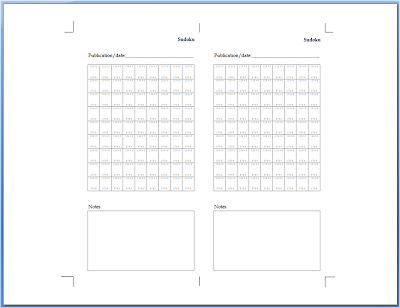 Print onto A4, double-sided along the short edge. Use a craft knife to cut the sheets out using a steel ruler, using the crop marks to guide you. Then punch holes and file in your Personal-size Filofax. Why not print a few and fill in the strarter squares from some newspaper puzzles? Then you'll always be equipped for those idle moments with your Filofax. way cool!Maybe I should learn how to do them now! Hi Steve! I was inspired by your blog. I've made the following in Pocket size: Expenses envelopes (following yours) and a list TV show episodes watched (has boxes to shade in when I've watched an ep). Hello, Nicole, I'm Ray. Steve lives on Philofaxy. The difficult part of designing Sudoku puzzles is working out the minimum information needed to make the puzzle solvable. It's not easy and I'd rather leave that the the newspapers. Oh dear I've confused you two because Steve makes the posts about your templates on Philofaxy. Several Excel Sudoku generators turned up in a Google search. They could be modified to make the squares bigger to accommodate this 'pencil marks' background (the close-up screenshot of your template would be the background).